Investors may hold their investment in certificated form. Our registrars, Computershare operate a dealing service which enables investors to buy and sell shares quickly and easily online without a broker or the need to open a trading account. Alternatively the Investor Centre allows investors to manage portfolios quickly and securely,update details and view balances without annual charges. Further details are available by contacting Computershare on 0870 702 0000 or by visiting Computershare. TR Property Investment Trust plc now offers shareholders the opportunity to purchase further shares in the company through the Dividend Re-investment Plan (“DRIP”) through the registrar, Computershare. 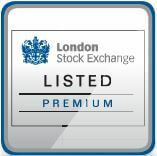 Shareholders can obtain further information on the DRIP through their secure website, or by phoning 0870 707 1694. Charges do apply. Please note that to gain access to your details or register for the DRIP on the Computershare site you will need the holder reference number stated on the top left hand corner of your share certificate. A number of banks and wealth management organisations provide Savings Schemes and ISAs through which UK clients can invest in TR Property Investment Trust plc. ISA and savings scheme providers do charge dealing and other fees for operating the accounts, and investors should read the Terms and Conditions provided by these companies and ensure that the charges best suit their planned investment profile. Most schemes carry annual charges but these vary between provider and product. Where dealing charges apply, in some cases these are applied as a percentage of funds invested and others as a flat charge. The optimum way to hold the shares will be different for each investor depending upon the frequency and size of investments to be made. Details are given below of two providers offering shares in TR Property Investment Trust, but there are many other options. Alliance Trust provide and administer a range of self select investment plans, including tax-advantaged ISAs and SIPPs (Self-Invested Pension Plans) and also Investment Plans and First Steps, an Investment Plan for Children. For more information Alliance Trust can be contacted on 01382 573 737, or by visiting their website. Investors in TR Property through the ATS Investment Plan and ISA receive all shareholder communications. A voting instruction form is provided to facilitate voting at general meetings of the Company. BMO offer a number of General Investment Accounts, Investment Trust and Junior ISAs and Junior Investment Accounts. Investments can be made as lump sums or through regular savings. BMO can be contacted on 0800 915 6017, or by visiting their website. Please remember that the value of your investments and any income from them may go down as well as up. Past performance is not a guide to future performance. You may not get back the amount that you invest. If you are in any doubt as to the suitability of a plan or any investment available within a plan, please take professional advice.